The SMART GUARD is a compact electronically operated level sensed condensate drain which offers zero air-loss during the condensate discharge cycle. 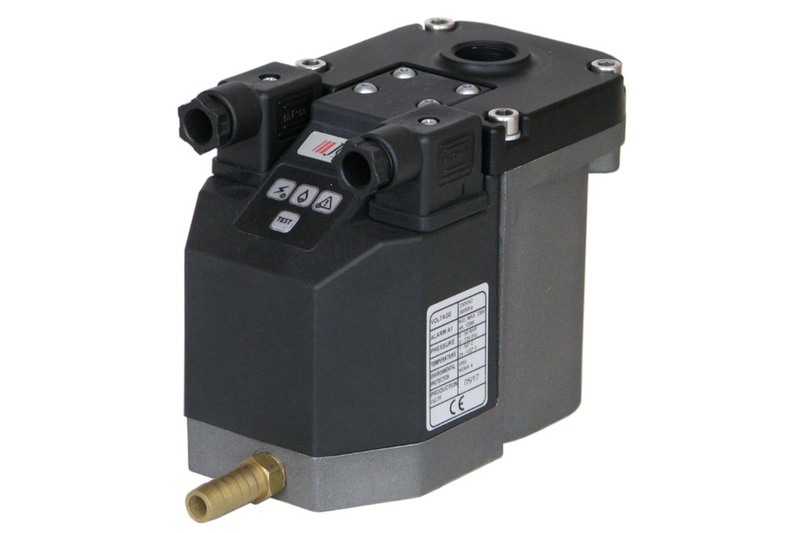 The new and improved design, the robust industrial housing, the alarm feature, and the 2/2 way direct acting valve assembly make the SMART GUARD a reliable solution for all compressed air system applications. Capacitive level sensing technology saves air, energy, and money. Rapid pay-back period due to competitive pricing level and reduced stocking costs. 1 model covers up to 3,000 scfm compressor capacity. Special module colour available for private label branding purposes. Operating pressure up to 230 psi. Cost-effective and offers a rapid pay-back period due to a competitive pricing level, low stocking cost, zero air-loss and energy saving aspects. Can be installed in all compressed air system components up to 3,000 scfm regardless size and climate zone-- only 1 model needed! Offers an integrated mesh strainer (to prevent large particles from entering the valve orifice), which is easy to disassemble and is service friendly.